Birthday Cake Decorating Competition Sponsor: Cookery. Register your cake entry here! Our sponsorship packages offer your company measurable benefits before, during, and long after the event. Let us work for you to get your brand message into the community! Other sponsor opportunities may be available (e.g. in-kind). Let’s talk! Contact Us to discuss your needs or for a printed Sponsor Kit. All Sponsor revenue is put towards the costs of running the event. 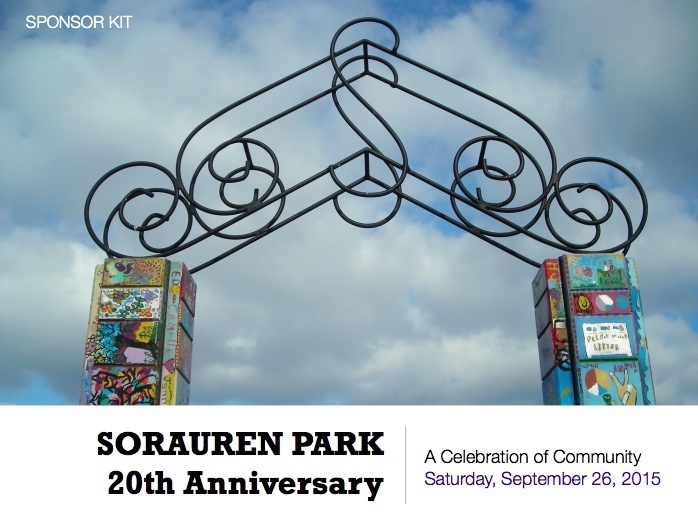 Any excess will be contributed to the Sorauren Park Town Square Phase 2 Campaign. All Sponsors receive a framed Certificate of Appreciation signed by the organizing committee, to display proudly in your shop or waiting room. Ongoing promotional tweets on @SoraurenPark (1,100 followers, retweeted by partner organizations) before, during and after the event. Leverage your own social media investment! SOLD! See you at the Kids Zone! Contact us to discuss how to match your needs to our sponsor opportunities. Other sponsor opportunities may be available (e.g. in-kind). Let’s talk!